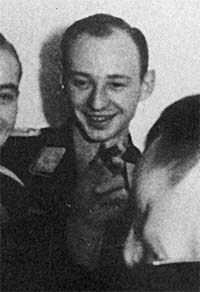 Wolfgang Gendelmeyer was born on 20 July 1919 at Berlin-Friedenau. He joined the army at the outbreak of World War 2 but transferred to the Luftwaffe in December 1939. Gendelmeyer undertook his initial flying training with Flieger-Ausbildungs-Regiment 42, based at Salzwedel, from 26 April 1940. From 6 September 1941, Oberfähnrich Gendelmeyer attended Jagfliegerschule 5. Gendelmeyer was posted to JG 3 on completion of his flying training in early 1942.  Leutnant Gendelmeyer was assigned to the Stabsstaffel of I./JG 3 then forming at Wiesbaden as part of the formation of a new I./JG 3, the previous I./JG 3 having been redesignated II./JG 1. In April 1942, I./JG 3 was ordered to relocate to the Eastern front. Gendelmeyer recorded his first victory on 11 June. He recorded eight victories in the first 15 days of July, including doubles on 5 July, a Russian Il-2 Sturmovik ground-attack aircraft and a LaGG-3 fighter for his third and fourth victories, 8 July, two more LaGG-3s (5-6), and 15 July, another LaGG-3 and an Il-2 (9-10). Late in July 1942, Gendelmeyer was transferred to 2./JG 3. On 1 August 1942, Gendelmeyer participated in a freie Jagd to the north and northeast of Kalach. For reasons that are unclear, his Bf 109 F-4 (W.Nr. 10 200) “White 2” crashed 1km north of Sswetschimkov. Gendelmeyer perished in the wreck of his aircraft. Wolfgang Gendelmeyer was credited with 10 victories. All his success was achieved over the Eastern front and included at least two Il-2 Sturmovik ground-attack aircraft.